After publishing articles it’s important to sent url to defferent social networking site like twitter, digg, facebook etc. You can sent your post url manually or automatically. 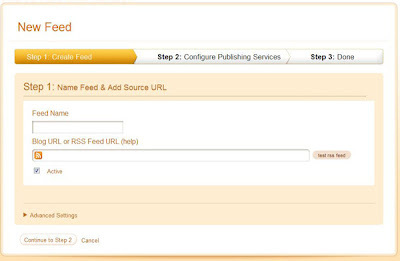 Now, in this post i am going to show you how to submit latest articles on Twitter automatically by using blogs or website RSS feed. Just follow the following simple steps and you should be good to go! Step 1: At first go http://twitterfeed.com and SignIn in after make an account. 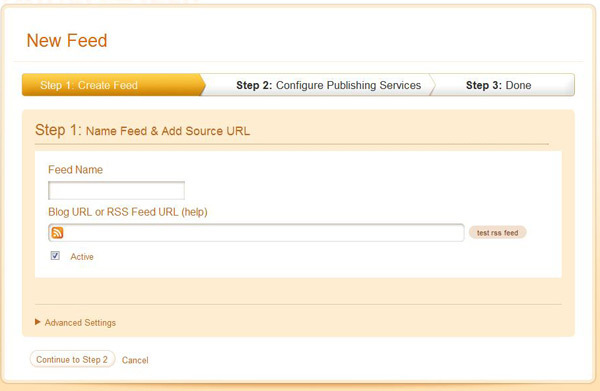 Step 2: After SignIn click on “Create New Feed” button. Step 3: You will see a new window like below screenshot. Now, enter your feed and and fedd url. You can use your site name as your feed name. 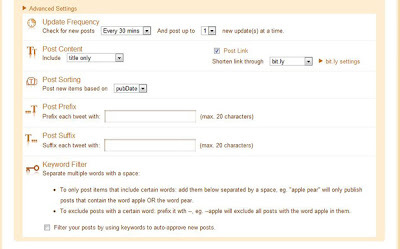 Step 4: After entered your RSS url then click on “Advanced Settings” to configure how you would like the Tweet to be displayed. That’s it. You done your job. 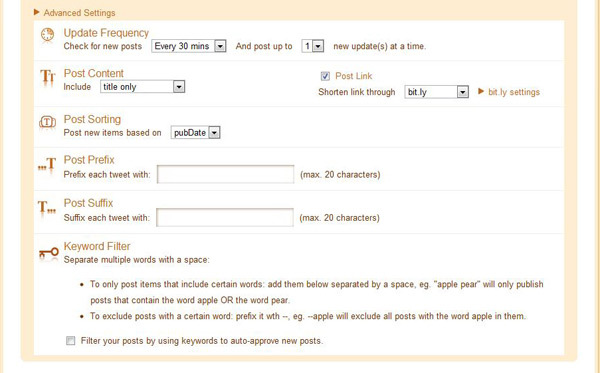 Now, if you post a new article on your blog, it will be Tweeted on Twitter automatically. I hope this made things a little easier for you. Hmmmm, just done with mine. This is a great and useful info. Thanks a lot. >Hey Guys, Thanks for your comment..